If you're looking to compare one family sedan or crossover with another with a view to buying one or the other of them, you may find some quite conflicting views about their comparative merits, especially online. But when it comes to comparing legendary iconic muscle cars like the 2017 Ford Mustang vs. 2017 Chevrolet Camaro, is easy for objectivity to go right out the window. Enthusiasts will fall into one camp or the other, which means it can sometimes be difficult to get a balanced comparison. So, here's a level-headed look at how these two auto icons measure up against each other. Regardless of how important performance inevitably is for cars like these, perhaps the biggest factor in deciding which one you're likely to go for will be the exterior styling. The Camaro designers could be seen to have a slight advantage in having more latitude to work with as a Camaro doesn't necessarily have to pay homage to its predecessors in the same way as the Mustang has to. However, that may have changed since the introduction of the fifth-generation in 2010. The futuristic, almost comic-book styling is now a part of the Camaro DNA, so the current sixth-generation isn't much of a departure from the previous model. It's a fabulously distinctive design, but it's now been a little foreshortened and it can look a little stubby from some angles. A Mustang still has to look like a Mustang no matter what, but that's certainly not a bad starting point. The latest car has been such a success it's now officially on sale in markets around the world for the first time in its history, which is testament to just how wide the appeal of its iconic style really is. In fact, there are even considerable waiting lists for the Mustang in many countries. The Mustang is considerably less drastic and polarizing with its styling than the Camaro, so it's understated class and beauty make it the winner in this important aspect. Practicality is certainly not the first thing most buyers of cars like these will consider, but as these are cars you're likely to use every day it definitely has to be thought about. Both are four-seaters, but the Mustang is the bigger car on the outside and that also leads to more room on the inside. The Mustang has more legroom in the front and the back, and the 13.5 cu.-ft. of trunk volume trounces the meagre 9.1 cu.-ft. of the Camaro. If you want the car that's easier to live with when it comes to the realities of daily life, the Mustang is the way to go. There are so many different flavors of 2017 Ford Mustang and 2017 Chevrolet Camaro there's probably something to suit most requirements in both lineups. But there's a growing move towards smaller displacement engines these days even in cars like these, and there's quite a difference here between the two. 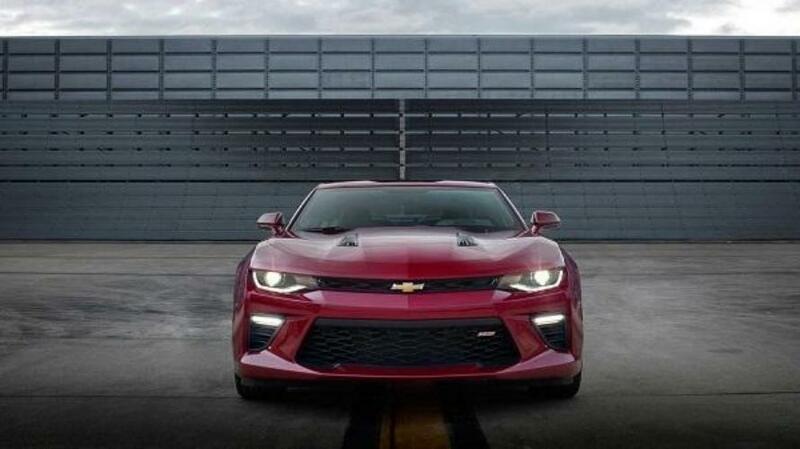 The four-pot in the Camaro is a 2.0-liter turbo putting out a respectable 275 horsepower and 295 lb.-ft. of torque. Unfortunately for the Chevy, the inline-four in the Mustang is a much more appropriate EcoBoost developing an impressive 310 horsepower and 320 lb.-ft. of torque. Even at the other end of the scale, the 6.2-liter V-8 in the Camaro SS sounds impressive but it's well down on power with 455 horsepower, compared to the 5.2-liter V-8 in the Shelby Mustang with its muscular 526 horsepower. Part of the huge appeal of these two excellent cars over the years has been the fact they're so accessible to normal buyers as they can be very affordable. Even if someone can't run to the expense of the full-fat V-8 variants, the entry level models still have all the style and swagger for not a lot of cash. Once again though, the Mustang takes the lead as the MSRP for the base V-6 is just $25,185, while the least expensive Camaro comes in at $25,905. 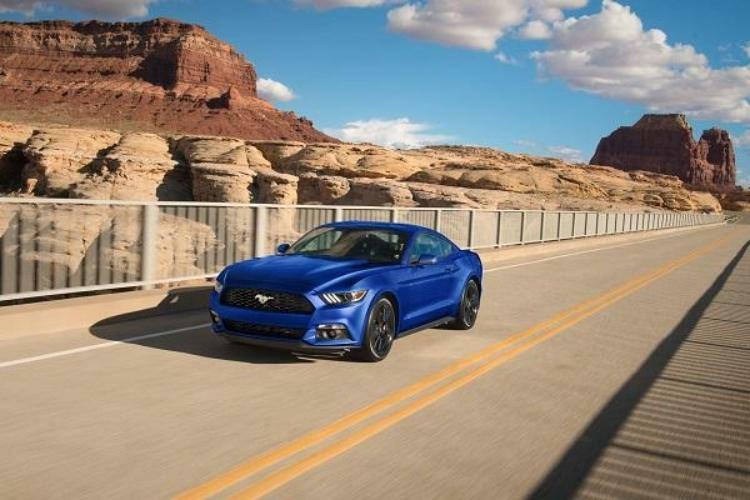 The Mustang is also more fuel efficient too, with the EcoBoost inline-four in the Ford having a slight advantage in the city over the turbo-four in the Camaro. The 2017 Chevrolet Camaro is a fine car with much to admire about it, but when it comes to a head-to-head with its arch rival, the 2017 Ford Mustang, the Camaro just falls short in most areas. The differences in each are not immense, but it's the fact the Mustang is better in just about every area that makes it a convincing winner here against the Chevy overall.